Anaphylaxis mind map diagram (click to enlarge the image). 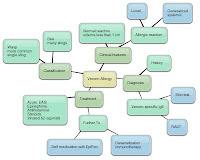 Mind map of venom allergy (click to enlarge the image). 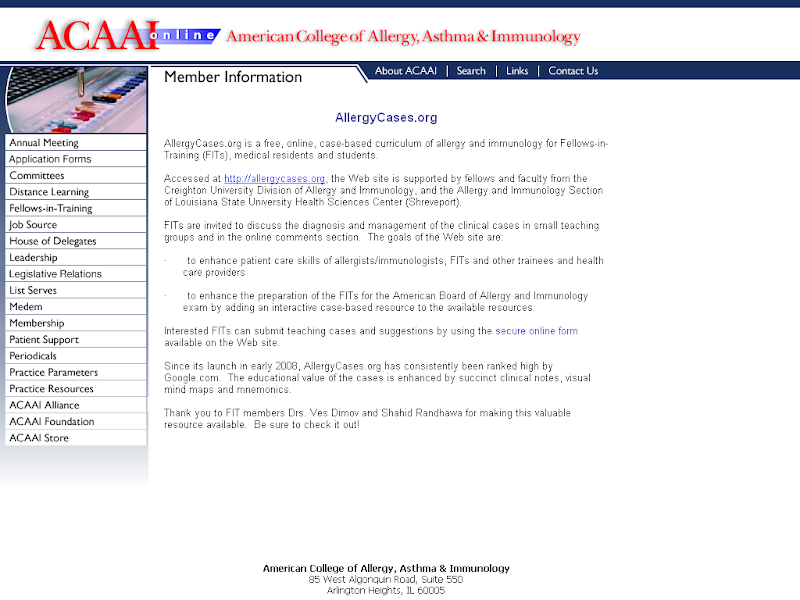 References: Clinical review: ABC of allergies, Venom allergy. Pamela W Ewan. BMJ 1998;316:1365-1368. Epinephrine (adrenaline) is the first-line the treatment of anaphylaxis. Adult intramuscular dose is 0.3 to 0.5 ml of 1:1,000 concentration. This should be given in the lateral aspect of the thigh by intramuscular injection. The dose can be repeated every 5 to 15 minutes, depending upon the response, for 3-4 doses. The same is true for children except the dose is 0.01 mg per kg (AAAAI Ask the Expert, 2012). Anaphylaxis guidelines by World Allergy Organization. JACI, 2011. Simplified algorithm for the acute management of anaphylaxis. Allergy, Asthma & Clinical Immunology 2011 7(Suppl 1):S6.